Millet or ragi is quite popular in the Southern regions and is regularly used in the South kitchens. The grainragi is in fact the staple diet in many villages across South India. Some health benefits of the grain ragi are, it is loaded with calcium, proteins, iron and other vital minerals necessary for the overall well-being of the humans. It is rich in fiber and contains very less unsaturated fat that makes it a perfect food for those who are on a weight loss program. Some ways of including the grain ragi in your diet can be ragi chila, ragi porridge, ragi dosa, ragi chapatti and ragi upma. The high dietary fibre content in ragi prevents you from overeating and keeps your stomach full for a longer period of time. It also contains the amino acid tryptophan which controls your appetite and is effective in losing weight. So, if you want to shed those extra kilos you can substitute wheat and rice for ragi to prevent obesity. Ragi flour contains a good amount of magnesium and potassium which is essential for maintaining a healthy heart. Magnesium helps to maintain a normal heartbeat and nerve function and on the other hand, potassium aids in the proper functioning of the heart muscles and lowers high blood pressure. Fibre content and the amino acid threonine prevent the accumulation of fat in the liver and lowers the cholesterol in the body. Ragi is considered to be one of the best non-dairy sources of calcium. Calcium is an essential mineral for keeping your bones healthy and strong. Adequate amount of calcium can help prevent the onset of osteoporosis in adults. Regular consumption of ragi can also put you at a less risk of diabetes because of its high content of dietary fibers and polyphenols. It has a higher amount of fiber s compared to other grains like rice and wheat. Fiber-rich ragi slows down the pace of digestion thereby helping you in lowering blood sugar levels. It will also help curbing your hunger pangs and help you to maintain blood sugar levels. Ragi is a good source of protein as it contains all the essential amino acids like Valine, Threonine, Isoleucine, Methionine and Tryptophan that help in muscle functioning, boosting metabolism, blood formation, quick weight loss, fighting anxiety and depression and also promotes the release of growth hormones. The high level of dietary fiber in this cereal aids in proper digestion, and preventing you from other stomach ailments. The insoluble fibers present in Ragi assist the movement of food through the intestines while the insoluble fibers retain water thereby easing the passage of waste. 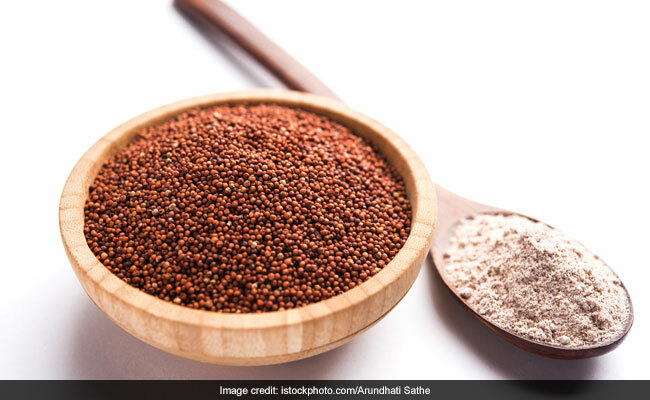 Including ragi in your diet can help you deal with constipation, bloating and other digestive disorders.